The next Clearwater Partners Workshop is Saturday, April 6th. Additional Tips on to follow for saving your home from wildfire can be found in this CRC Newsletter. 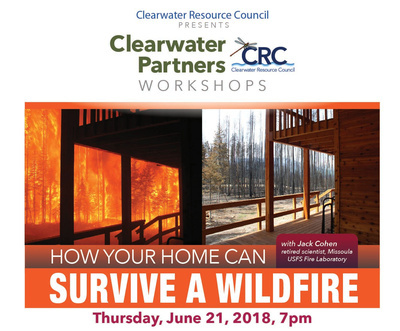 How Your Home Can Survive a Wildfire, presented by Jack Cohen, retired research scientist from Missoula USFS Fire Laboratory. Read the follow up article, Taking Houses Out of the Wildfire Equation featured in the June 28, 2018 edition of the Seeley Swan Pathfinder. 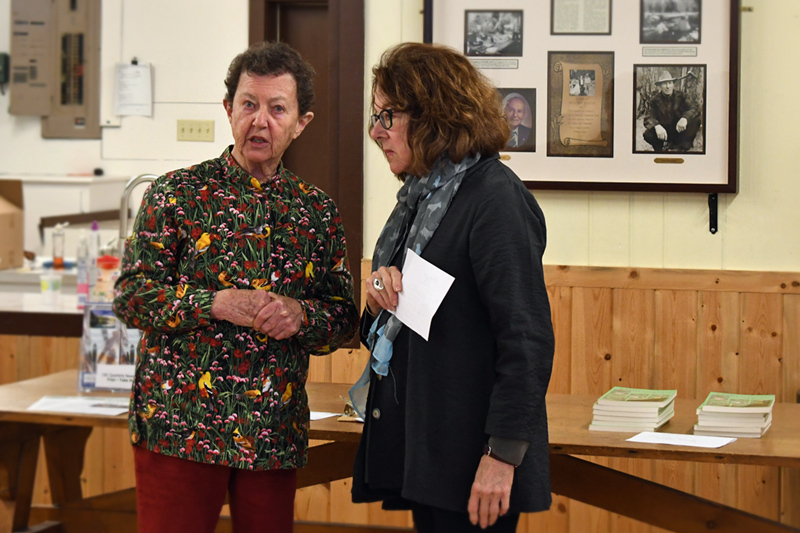 Everyone really "dug" into the Gardening Workshop on April 7, 2018. We welcome your requests and ideas. Contact Jenny at jenny@crcmt.org. On January 21, 2017 a Winter Wildlife Tracking workshop with Adam Lieberg, was held. Visit the Tracking Workshop page. Clearwater Resource Council is a not-for-profit, section 501 (c) (3) corporation.